Forschung ist in unserer DNA. Seit der Gründung im Jahre 2008, hat Karify sehr eng mit Forschungspartnern zusammengearbeitet, um evidenzbasierte integrierte Gesundheitsversorgung zu entwickeln. Das Ziel von Karifys Forschungsarbeit ist, zur bestmöglichen Gesundheitsversorgung beizutragen, um sowohl Patienten als auch Therapeuten während der Behandlung zu unterstützen. Bei Karify finden Forschung und Weiterentwicklungen der eHealth Plattform zeitgleich statt. 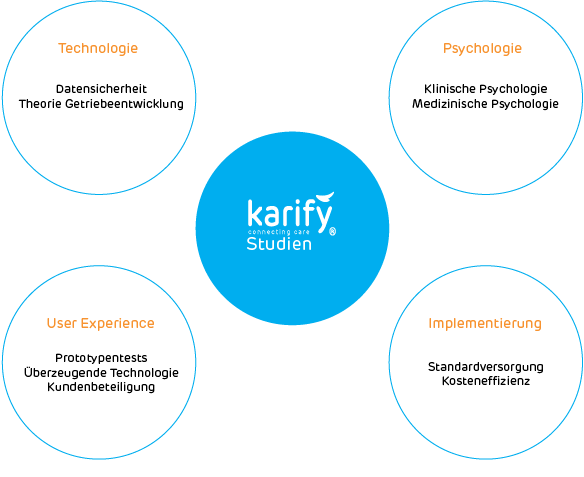 Karify entwickelt auf Basis von wissenschaftlichen Ergebnissen und testet Innovationen für den Endverbraucher vor, während und nachdem diese entwickelt werden. So tragen die Erfahrungen und Fragen von Patienten und Ärzten zu innovativen Prozessen bei und generieren unmittelbar neue Forschungsfragen. In der Zusammenarbeit mit akademischen Partnern fasst das fachübergreifende Team von Karify die neuesten Erkenntnisse aus den Bereichen Technologie und Psychologie zusammen und lässt sie bei der Implementierung in die Benutzeroberfläche und das Erlebnis-Design einfließen. Sie haben Interesse an einer Zusammenarbeit mit Karify? Hier finden Sie eine Übersicht von den Studien und Projekten an denen Karify beteiligt ist. Hier finden Sie eine Übersicht von den wissenschaftlichen Publikationen an denen Karify beteiligt war. Effectiveness of two web-based interventions for chronic cancer-related fatigue compared to an active control condition: Results of the “Fitter na kanker” randomized controlled trial. Digital intake approach in specialized mental health care: study protocol of a cluster randomised controlled trial. The efficacy of Internet-based cognitive behavioral therapy for severely fatigued survivors of breast cancer compared with care as usual: A randomized controlled trial. A tailored guided internet-based cognitive-behavioral intervention for patients with rheumatoid arthritis as an adjunct to standard rheumatological care: results of a randomized controlled trial. Web-based cognitive behavioural therapy blended with face-to-face sessions for chronic fatigue in type 1 diabetes: a multicentre randomised controlled trial. Efficacy of Blended Cognitive Behavior Therapy for High Fear of Recurrence in Breast, Prostate, and Colorectal Cancer Survivors: The SWORD Study, a Randomized Controlled Trial. 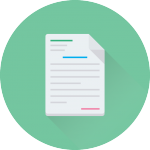 Lymphoma InterVEntion (LIVE) – patient-reported outcome feedback and a web-based self-management intervention for patients with lymphoma: study protocol for a randomised controlled trial. Rate, timing and predictors of relapse in patients with anorexia nervosa following a relapse prevention program: a cohort study. 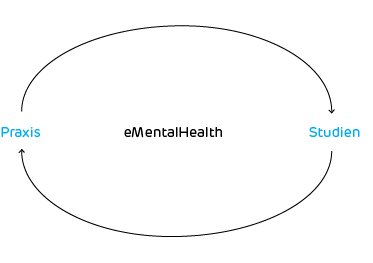 Blended internet care for patients with severe mental illnesses: An open label prospective controlled cohort pilot study. 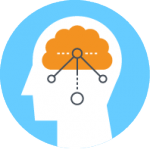 Tailored therapist-guided internet-based cognitive behavioral treatment for psoriasis: a randomized controlled trial. The efficacy of guided self-instruction for patients with idiopathic chronic fatigue: A randomized controlled trial. BREATH: Web-Based Self-Management for Psychological Adjustment After Primary Breast Cancer—Results of a Multicenter Randomized Controlled Trial. Study protocol of the SWORD-study: a randomised controlled trial comparing combined online and face-to-face cognitive behaviour therapy versus treatment as usual in managing fear of cancer recurrence. Testing the efficacy of web-based cognitive behavioural therapy for adult patients with chronic fatigue syndrome (CBIT): Study protocol for a randomized controlled trial. Study protocol of a multicenter randomized controlled trial comparing the effectiveness of group and individual internet-based Mindfulness-Based Cognitive Therapy with treatment as usual in reducing psychological distress in cancer patients: the BeMind study. A web-based cognitive behaviour therapy for chronic fatigue in type 1 diabetes (Dia-Fit): study protocol for a randomised controlled trial. Effectiveness, Mediators, and Effect Predictors of Internet Interventions for Chronic Cancer-Related Fatigue: The Design and an Analysis Plan of a 3-Armed Randomized Controlled Trial. A randomized controlled trial of web-based cognitive behavioral therapy for severely fatigued breast cancer survivors (CHANGE-study): study protocol. Web-based individual Mindfulness-Based Cognitive Therapy for cancer-related fatigue – A pilot study. Usage of a Generic Web-Based Self-Management Intervention for Breast Cancer Survivors: Substudy Analysis of the BREATH Trial. Internet-Based Therapy for Adolescents With Chronic Fatigue Syndrome: Long-term Follow-up. Effectiveness of internet-based cognitive behavioural treatment for adolescents with chronic fatigue syndrome (FITNET): a randomised controlled trial. Rationale of the BREAst cancer e-healTH [BREATH] multicentre randomised controlled trial: An Internet-based self-management intervention to foster adjustment after curative breast cancer by decreasing distress and increasing empowerment. Fatigue In Teenagers on the interNET – The FITNET Trial. A randomized clinical trial of web-based cognitive behavioural therapy for adolescents with chronic fatigue syndrome: study protocol.